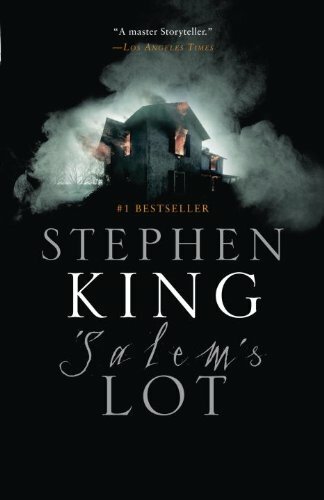 alternate scenes, and two short stories related to the events of the novel.While the original edition of ’SALEM’S LOT will forever be a premier horror classic, ’SALEM’S LOT: ILLUSTRATED EDITION, with the inclusion of material from King’s archive, is destined to become a classic in its own right and a must-have for all Stephen King fans. In this edition, the hair-raising story of Jerusalem’s Lot, a small town in Maine whose inhabitants succumb to the evil allure of a new resident, is told as the author envisioned it, complete with fifty pages of alternate and deleted scenes. With a new introduction by the author, two short stories related to the events and residents of Jerusalem’s Lot, the lavishly creepy photographs of Jerry Uelsmann, and a stunning new page design, this edition brings the story to life in words and pictures as never before.No library will be complete without this ideal collector’s item for any King aficionado, the definitive illustrated edition of the great ’SALEM’S LOT. and eventually destroy her mean-spirited classmates. When United Artists released the film version in 1976, it was a critical and commercial success. The paperback version of the book, released after the movie, went on to sell more than two-and-a-half million copies. Many of King's other horror novels have been adapted into movies, including The Shining, Firestarter, Pet Semetary, Cujo, Misery, The Stand, and The Tommyknockers. Under the pseudonym Richard Bachman, King has written the books The Running Man, The Regulators, Thinner, The Long Walk, Roadwork, and Rage. King is one of the world's most successful writers, with more than 100 million copies of his works in print. Many of his books have been translated into foreign languages, and he writes new books at a rate of about one per year. In 2003, he received the National Book Foundation Medal for Distinguished Contribution to American Letters. In 2012 his title, The Wind Through the Keyhole made The New York Times Best Seller List. King's title's Mr. Mercedes and Revival made The New York Times Best Seller List in 2014.